An automated DDI solution is the best choice for businesses that want to ensure a successful cloud migration. Cloud is on fire. By 2021, IDC predicts over 90% of enterprises will use multiple cloud services. It also says public cloud services will grow to $276 billion in 2021. As more of the competition begin leveraging the cloud, it seems digital transformation in this space is no longer an option for organisations: it has become a business imperative. As part of their digital ambitions, enterprises are looking to cloud services to build newer applications for modern technologies such as real-time data analytics, mobility, IoT edge computing, cognitive and robotics. Industry leaders are reaping the rewards of this explosion in cloud adoption - with AWS’ past quarter seeing it pull in over $5 billion in revenue. 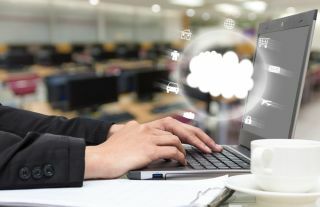 However, some organisations considering or already moving into the cloud may not fully understand the critical role Domain Name System (DNS), Dynamic Host Configuration Protocol (DHCP) and IP Address Management (IPAM) play. To efficiently and securely deploy and manage cloud services, organisations need to address all three with an integrated DDI solution. As network infrastructure evolves in the multi-cloud or hybrid cloud worlds, cloud orchestration becomes critical for success. A challenge organisations can face with multi-cloud orchestration is where the network infrastructure sprawls across on-premise and multi-cloud network silos, limiting the complete visibility over the resulting virtual network. Without a unified view, IT teams are unable to manage IP resources efficiently, eventually leading to connectivity issues between the various applications hosted across all providers/partners. As cloud workloads become heavier thanks to the decreasing cost of cloud storage, the latency, bandwidth and general application performance are negatively affected if IP addresses are not assigned and managed efficiently. Network security also becomes an issue, as soon workloads in the cloud go beyond just website hosting. At any one time, organisations have thousands of IP resources that need provisioning and deprovisioning onto the cloud. If provisioned manually, the process is time intensive for network administrators and errors can creep in, and so integrating DDI with the orchestration process can be used to automate the provisioning and deprovisioning of IP resources. This ensures fast rollout of new cloud services. This also results in error-free configurations, consistent data and the proper enforcement of customer policies. The IP management process should occur at the highest level of orchestration workflow - that is, administrators should consider it right after generating the unique ID to any new service or device. The IP network is critical for ensuring all components of software-defined infrastructures deploy and function correctly, and as such, ignoring IPAM can end up negating the benefits of software-defined infrastructures altogether. The time savings for deploying a new service can be impressive using DDI Automation; to manually deploy a simple new service can take an administrator around half an hour, whereas by using automated DDI it would take just a minute of their time. The DNS controls what traffic comes in and out of a business to the cloud, and every application within an organisations starts at the DNS layer. If an organisations’ DNS is compromised by cyber criminals, there’s no access to cloud or on-premise services and applications. This critical role DNS plays for businesses using cloud services makes it an obvious and highly rewarding target for hackers. A trend we’ve seen is a rising demand for advanced DNS security, with organisations concerned about DDoS (Distributed Denial-of-Service) attacks aimed at taking down the DNS. Some organisations believe the default DNS protection provided by their cloud provider will be enough, but in reality most cloud providers offer generic security solutions that aren’t equipped to protect the DNS, or to ensure data confidentiality. In addition, conventional protection mechanisms alone, such as endpoint security or firewalls, are inadequate as they do not consider the overall traffic, focusing instead on domain reputation, payload and DNS requests’ entropy. A purpose-build DNS security solution, offering intelligence on the context of transactions, is therefore critical for organisations working in the cloud who want to ensure business continuity and to keep data confidential. Some businesses plan cloud exit strategy right at the onset to de-risk their IT plans - one aspect being to use microservices architecture and build applications using containers instead of virtual machines (VMs) - as containers have better portability than VMs. But even containers need IP, and so an automated DDI solution that is both cloud-agnostic and orchestrator-agnostic is needed to avoid “cloud lock-in”. This allows organisations to benefit from using multiple cloud providers and to spread their workload across multiple providers without any risk. DDI also allows enterprises to test new cloud deployments with the ability to roll-back to a previous state if it’s not stable. This provides a peace of mind for businesses, knowing that if the move to a new cloud provider goes poorly, it can safely revert back to a previous state without impacting the design of their network preventing impact on business continuity. As more organisations move into the cloud, the risks and potential damages of handling the process incorrectly become apparent. For organisations seeking to make the most of their cloud operations, a unified DDI solution should be a key consideration. There’s no denying it, cloud is big as a key revenue driver for Microsoft, Amazon and Google, and it’s only going to get bigger. As more organisations move into the cloud, the need to use it more effectively than the competition is heightened. DDI is a strategic consideration for businesses wanting to manage multi-cloud infrastructures, maintain regular compliance, protect sensitive data from modern day network security threats, and managing various environments. With DNS, DHCP and IPAM fully integrated, an automated DDI solution can provide the visibility, control and security needed for organisations to rapidly deploy services in multi-cloud environments and derive the most value out of their current, and future, cloud investments. If businesses want to make the most of their cloud migration projects, a fully integrated and automated DDI solution is their best bet.